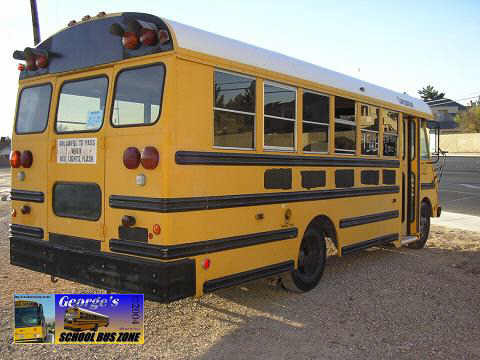 Comment: This bus was retired from the CCSD fleet, and was seen being sold for $2,000. 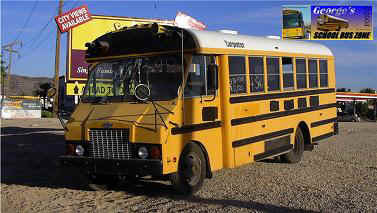 The person who bought it at auction must have had problems, porbably converting the bus into a different vehicle (notice the missing stop sign). I went back a week after I took this picture, and it was gone. It also had the Nevada temporary plate (when you buy a new/used vehicle here, you use that before registering for metal plates at the DMV). 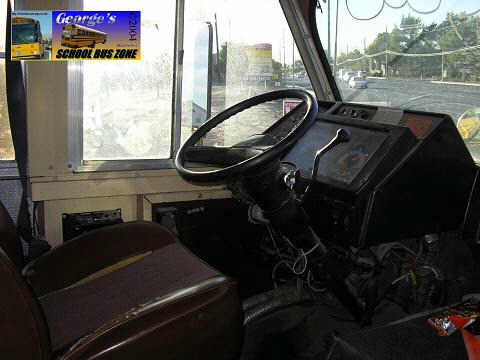 The inside was all torn up from the speakers to the wires in the dash board. 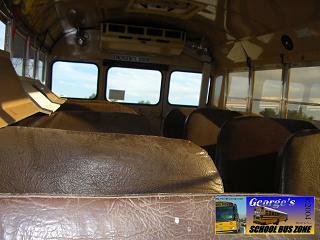 I could barely get through the center aisle from the front seats of the bus. How'd I get the bus number? Where it's sprayed black, the numbers were raised. The stop sign is also gone. This was taken in October 2004.